Avengers Matryoshka Dolls: Stack and Assemble! With over a billion dollars at the box office, The Avengers are having a banner year, so I wouldn’t be surprised if you wanted some Avengers themed collectibles for your desk, right? 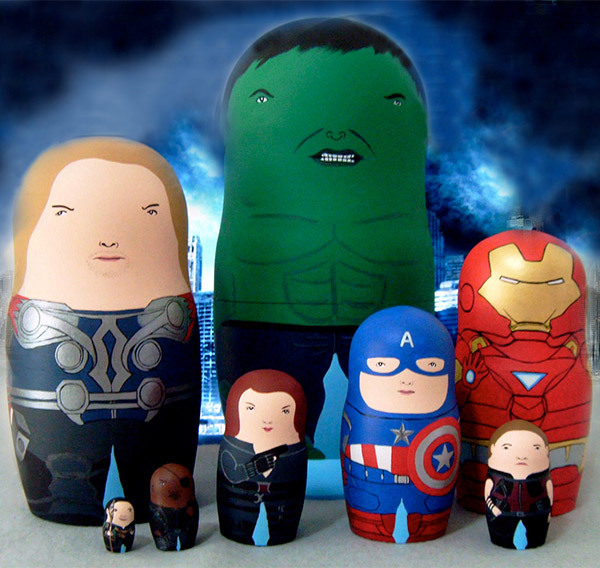 How about some awesome Avengers Matryoshka (Russian stacking dolls)? 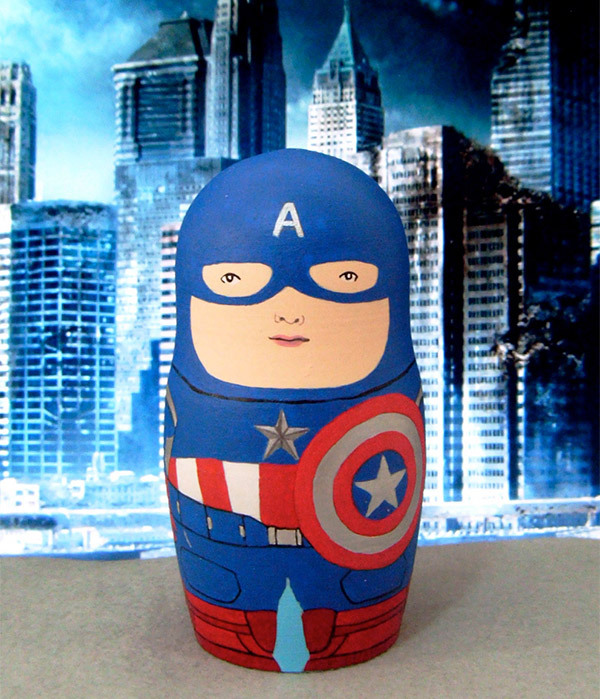 This set of Avengers stacking dolls was made by Australian artist Irene Hwang of BoBo Babushka. Each one is hand painted, and the set includes eight stacking Avengers ranging from the 9″ tall Incredible Hulk to the 3/4″ Loki. I know, Loki is a bad guy, but she made him so tiny it’s almost like he’s not even there. The set also includes Thor, Iron Man, Captain America, Black Widow, Hawkeye, and Nick Fury – complete with tiny eyepatch. The full set is available over on Etsy for $200 (USD), and you can check out more detailed images over on BoBo BaBushka’s Blog. Be sure to check out her Etsy shop for all kinds of other cool Matryoshka, including Kiss, The Flight of the Conchords, The Big Bang Theory, and Reno 911.